Bolivia obtained a score of 29 out of 100, where zero is very corrupt and 100 is very transparent, the country is ranked 132. The Corruption Perceptions Index ranks countries and territories based on how corrupt their public sector is perceived to be. A country or territory’s rank indicates its position relative to the other countries and territories in the index. This page provides the latest reported value for – Bolivia Corruption Rank – plus previous releases, historical high and low, short-term forecast and long-term prediction, economic calendar, survey consensus and news. 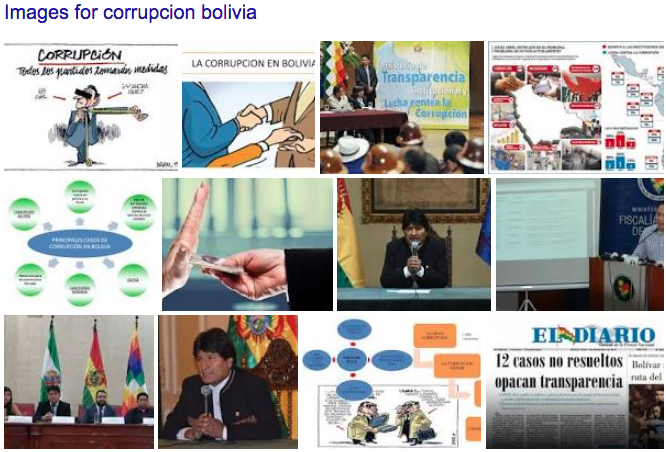 Bolivia Corruption Rank – actual data, historical chart and calendar of releases – was last updated on January of 2019. This entry was posted in Bolivia, Business, Economics, Politics, Social Unrest and tagged corruption in public office, demagogue, government failures, Ochlocracy, police and judicial corruption, transparency. Bookmark the permalink.